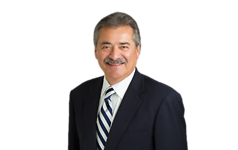 Cerritos, CA—Atkinson, Andelson, Loya, Ruud & Romo is pleased to report that the firm has been ranked number one in the 2015 Law360 Minority Report published on May 19th. The 2015 rankings are based on the overall and minority head count numbers as of December 31, 2014 among nearly 300 U.S. firms. Only U.S.-based attorneys were included in the survey. Firms were ranked based on the percentage of equity partners who are minorities. AALRR tops the list with 34% of the firm’s equity partners qualifying. Atkinson, Andelson, Loya, Ruud & Romo is a full-service law firm with 150 attorneys in eight offices throughout California.